I wasn’t going to write anything about this week, but I’m sitting here drinking champagne (the not-champagne type), and that seems like a reason to write it down (or maybe it’s the bubbles talking) As work-life balance goes, this week has been rather one-sided. Work has been busy and difficult. The life side of life, on the other hand, has been varied and interesting and inspiring and sometimes really amazing. And for big and small reasons, there’s lots to celebrate. On Monday, I went to my first ever Parents Association meeting in my daughters’ school – I felt I’d truly graduated to mammy-dom. And I should say, it was all mammies. Twenty-five class reps in the room, every one of them female. Where are all the dads? Another topic for another day. But you know, I really enjoyed it – an hour of discussion that had nothing to do with work, and getting to know other mums from the school. Yeah that’s nerd-esque and there’s no way to make it sound interesting and inspiring, but I came out feeling good. Though, in case it’s not clear, this is not why I’m drinking champagne. On Tuesday, I went to a Clearbird Consulting workshop on personal branding. It was a really, really good workshop, and what added hugely to the enjoyment was chatting to other women who are trying to hold-down careers while looking after small children. It was inspiring, and again, I came out feeling good. And with great plans (as yet unachieved) to start using LinkedIn properly. 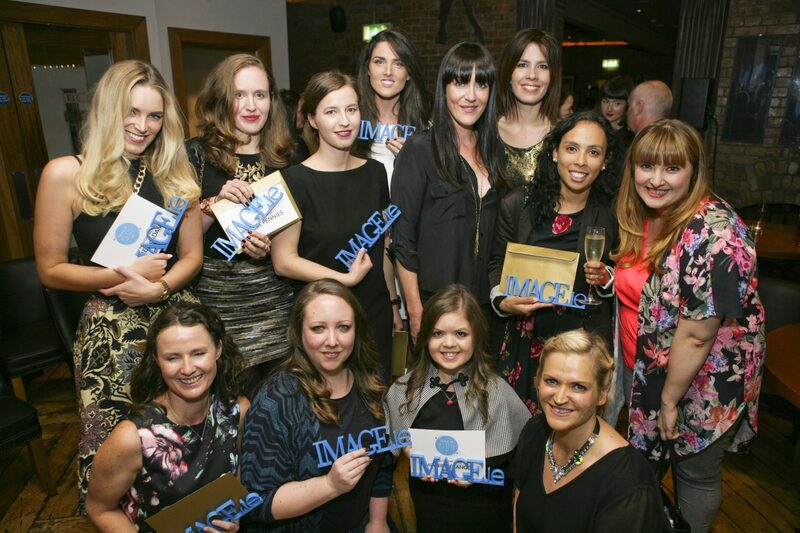 On Wednesday, (insert casual tone here) I went to the Image Blog Awards, and (insert head-hanging mumbling fake humility here) I won! Well, not the whole thing obviously, but Best Parenting Blog. And I won’t downplay it – it was brilliant. My legs turned to jelly when my name was called out, and I wasn’t sure I was going to make it up to the stand without tripping (wine may also be to blame here), but I did. The rest of the night is a blur (again, wine may be to blame) though I do know that the lovely Suzy from The Airing Cupboard and I sorted out many world problems and were the last to leave Fade Street Social. And, really, it’s at least part of the reason I’m drinking champagne tonight – there are not often days like this. On Thursday, getting up for work was a challenge, but I also took an hour out to go to the Families and Work: A Chance for Change seminar, organised by the National Women’s Council, Start Strong and ICTU. Mild hangover notwithstanding, it was fascinating and inspiring listening. And loveliest of all, I had time to catch up with Elaine and Martina from TheWorkingMother.ie to talk work-life balance, mild hangovers and good coffee. On Friday, my self-appointed tweenager turned seven. Which means, according to the excellent term coined by Bumbles of Rice, it was my mammyversary! We managed to avoid a repeat of last year’s not great birthday, mostly by doing the exact opposite of everything we did last year (planning instead of not planning – all that good stuff). And it was a perfect day, and the birthday girl smiled her way through it. 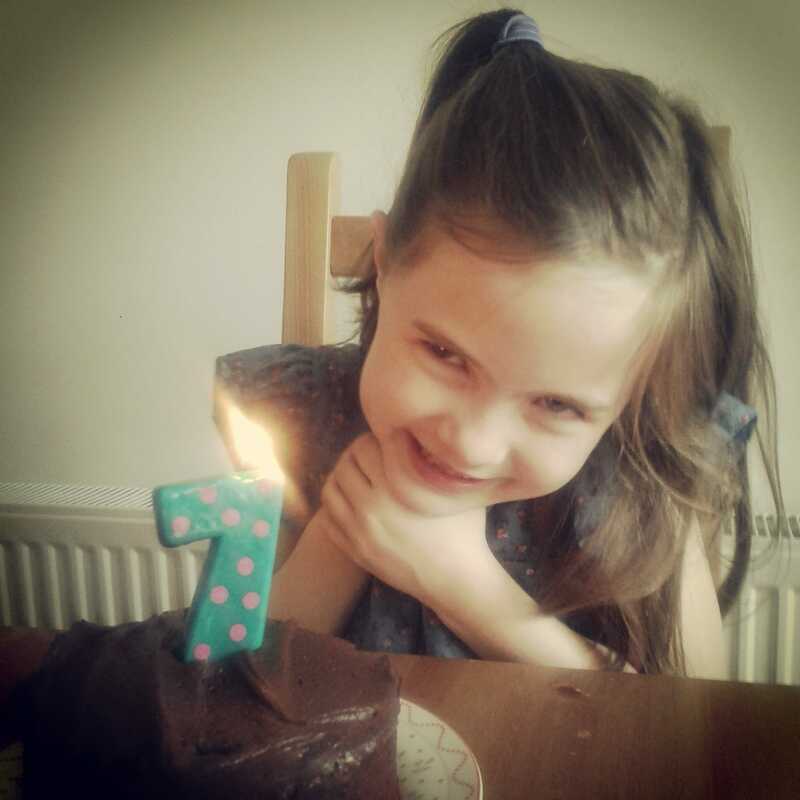 Her special request was a trip to Dundrum after school, to spend a Next voucher – because “they have a better selection in Dundrum than in Blackrock”. Yeah, I know. But it’s what she wanted, and she loved it. And her party is tomorrow, so don’t worry – her birthday will count for more than an afternoon in a chain store. And we did go for coffee after. But you know, she was brilliant. We sometimes clash, the way people who are identical versions of one another do. But yesterday, she was her best self, and I was in awe of her. So we’re drinking champagne. It’s been a good week. Tanya what a lovely, lovely comment – thank you so much, hugely appreciated! Thanks a million Lucy! I’m a big fan of the “celebrate every milestone” mantra, so it doesn’t take much to break out the bubbly! Ah, lovely. Happy mammyversary. Seven is meant to be a hard age, but I think it’s a really special one too. And I am totally in awe of the fact that you did all that and got through a “busy and difficult” week of the other thing you do that’s called work. As if none of what you just described was work. Thanks Anne for the lovely comment – much appreciated! Sounds to me like bubbles are well deserved! Congrats! So well deserved because your blog is simply briliant and of huge relevance to me and many other mothers. it sounds wrong but am a bit jealous that you got all dressed up and everything and went out ‘out’ and had a (mild ) hangover too! well done!! What a lovely comment – thank you very much Colette! Yes, mild hangovers are definitely worth it, and totally justifiable these days when they’re few and far between! Lovely post. Oh I know all about identical personalities clashing! HELP! Next Next post: Presenteeism: Why Are We Still Rewarding Presence In The Office?